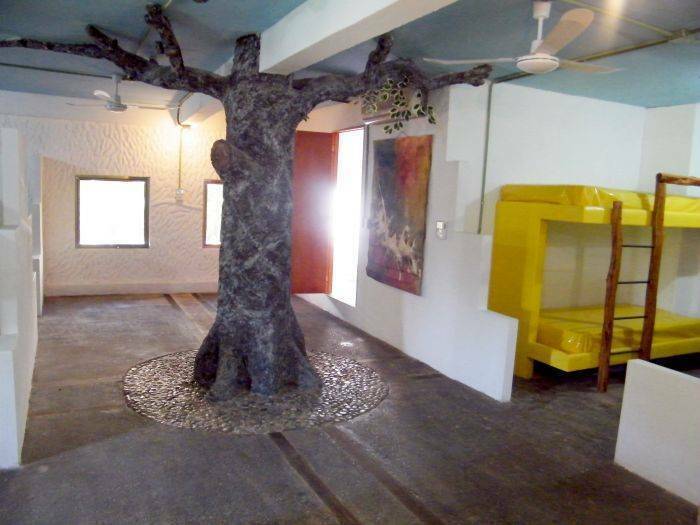 Right outside of the hostel, airport and downtown shuttle are available. 2. You can choose DORMS by gender (MALE, FEMALE OR MIXED). 4. 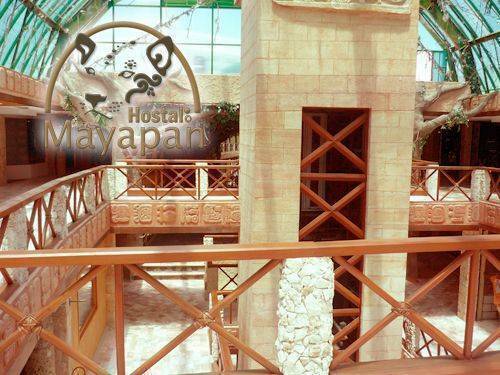 Our lounge is inside a shopping mall: there you can meet local and foreign people, you can read or drink local beverages, all of this surrounded by a Mayan environment. 8. Security: You receive a locker for your important belongings. The security guard is on spot all night long. 9. 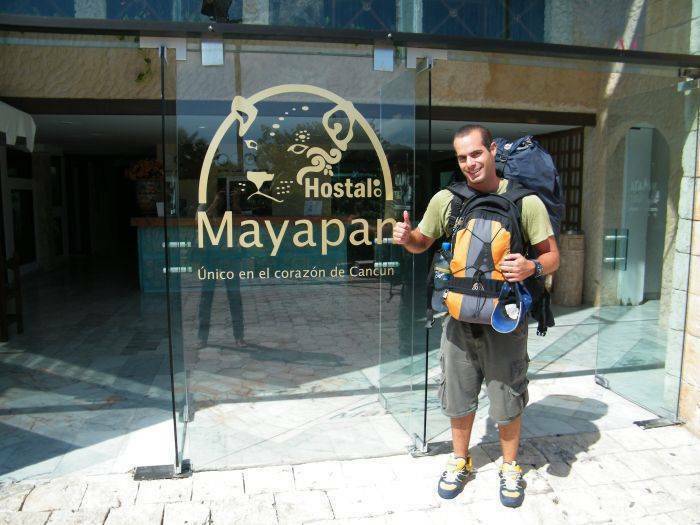 Tourist Information: we can help you out to plan your vacations, offering you our guided tours to Chichen – Itza, Isla mujeres, Playa del Carmen, Tulum, Xel – Ha, Xcaret, Ek – Balam, and more. We are 500mts in all the services they need beach (300mts), Discs (Coco Bongo, Hard Rock, Dady'O, etc.) 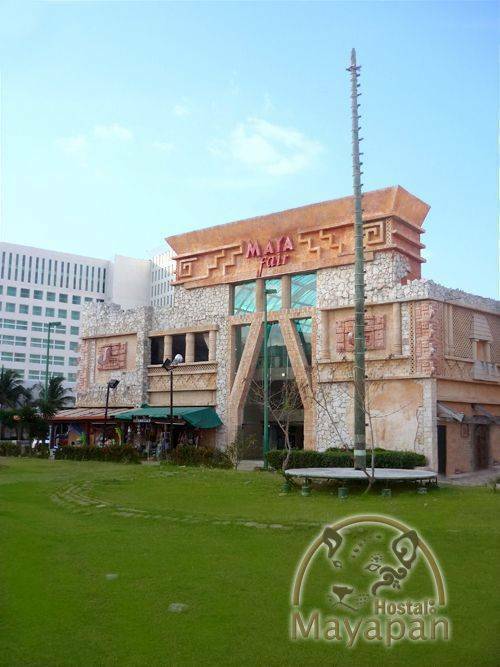 Laundry, Super markets, restaurants, shopping malls, golf, Pharmacies, Souvenirs, Artesanías Mexicanas . Outside the Inn this service trucks for the airport and downtown. 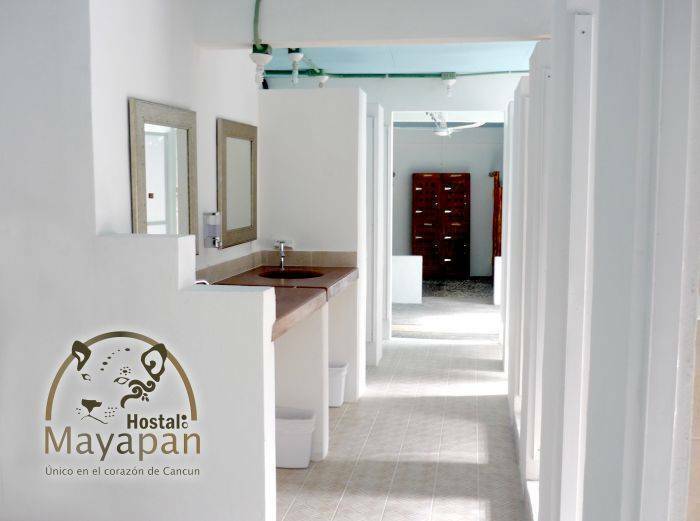 The MAYAPAN HOSTEL immerse within an ecological authentic Mayan style, IS THE FIRST AND ONLY HOSTEL LOCATED IN BEACH ZONE or Hotel ZONE OF CANCUN, where you can feel the essence and beauty of its beaches, and enjoy the mythical Night Life. Once you arrive to the Cancun International Airport, go to the parking lot at the “Terminal 2” and there you’ll find the “ADO” bus service. This will take you to Cancun downtown. Its departures from the airport to downtown are every 30 minutes for only $40 pesos. At the moment you arrive to downtown, outside of the bus station, you can take either the bus or a taxi to go to our hostel. If you decide to take the bus, just go to Ave. Tulum (which is next to the bus station) and take the bus R1 or R2 direction Hotel Zone. Once you get on the bus, ask the bus driver to get you off at Plaza Maya Fair. OUR HOSTEL IS WITHIN THIS PLAZA. Every bus ticket is paid directly with the bus driver.